The new campaign is part of NSSF’s ongoing Project ChildSafe initiative, which emphasizes the role safe storage plays in helping to prevent firearm accidents, and encourages voluntary action on the part of gun owners to safely secure their firearms when not in use. S.A.F.E. is an acronym for Secure your firearms when not in use; Be Aware of those around you who should not have unauthorized access to firearms; Focus on your responsibility as a firearm owner and Educate yourself and others about safe firearm handling and storage. While a focus of Project ChildSafe is preventing firearm accidents among children, the comprehensive program provides educational materials and online resources to help young people and adults practice greater firearm safety, especially in the home, where proper storage is the number way to prevent accidents. For the hunting season, NSSF is working with some of the nation’s largest hunting and sporting media outlets, along with celebrities in the hunting world, state fish and game departments and thousands of NSSF members and supporter organizations to help deliver messages and information on hunting and firearm safety through public service announcements, social media activity, banner ads and direct outreach to the hunting community. 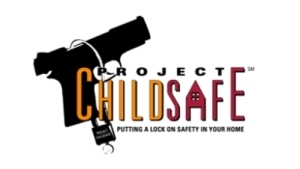 NSSF launched Project ChildSafe in 1998 (prior to 2003 the program was called Project HomeSafe) as a nationwide initiative to promote firearms responsibility and provide safety education to all gun owners. The program has provided more than 36 million free firearm safety kits to gun owners in all 50 states and five U.S. territories. That’s in addition to the more than 60 million free locking devices manufacturers have included with new firearms sold since 1998 and continue to do today.